The motion which was proposed by BeLonG To and seconded by TENI. It was brought forward by trans activist and Grand Marshal of Dublin Pride 2018 Sara Philips yesterday during their AGM. News 22 June, 2018 . Written by Katie Donohoe. A motion on the inclusion of transgender women in the Irish Women’s Council passed unanimously yesterday at the NWCI’s AGM. The motion was proposed by BelongTo and seconded by TENI and it calls on the NWCI to support the trans community particularly in terms of healthcare. “BeLonG To Youth Services affirms the work to date bu the NWCI around the inclusion of transgender women and girls in their work. 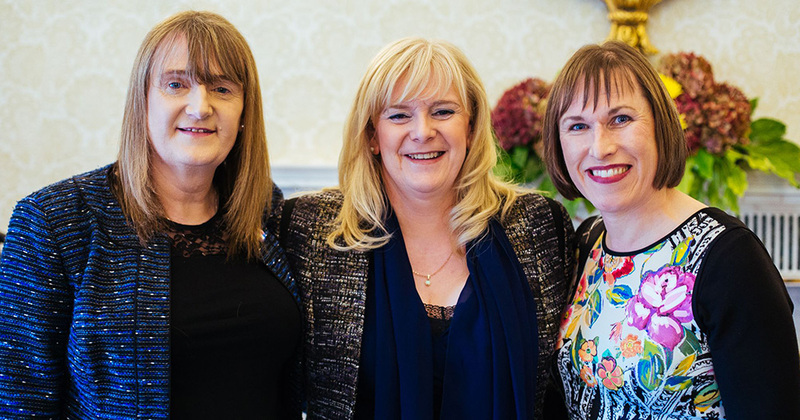 “We call on the organisation to lead the way and model the inclusion of transgender women in the feminist movement in Ireland providing a platform for the voices and experiences of trans women and girls, particularly in relation to accessing healthcare. This year’s Grand Marshal of the Dublin Pride Parade, Sara Philips, said it was an honour to stand at the NWCI and put the motion forward. “It’s the second time we’ve attended [the NWCI AGM] but today was the first time we’d been involved in any shape or form. “As far as I understand I was probably the first trans woman to stand up at the NWCI and address the council. “We had a joint motion with BeLonG To asking the council to work on including trans women in not only the council’s work but also within Irish feminism, specifically around healthcare and the need for improved healthcare for trans women. Also during the NWCI’s AGM yesterday, two members of the national network of African and migrant women living in Ireland, AkiDwA, were elected to the board this year. This comes a year after migrant women identified a lack of representation as a major issue in the feminist community. 22 June, 2018 . Written by Katie Donohoe.